Staffers of U.S. Rep. Ruben Gallego have asked the U.S. Capitol Police to investigate the extremist group Patriot Movement AZ after its leaders posted photos, video and information about security measures of the congressman’s house, the Southern Poverty Law Center’s Hatewatch blog reported today. The leaders posted the information in a series of Twitter and Facebook posts Jan. 29 and 30, many of which have since been deleted. The posts also contained angry messages about Gallego’s stance on the border. By Wednesday afternoon, Harrison and her group had taken things a step further. Harrison, along with Antone and fellow group leader Rich Osiol, showed up outside Gallego’s home and began livestreaming video to Facebook. 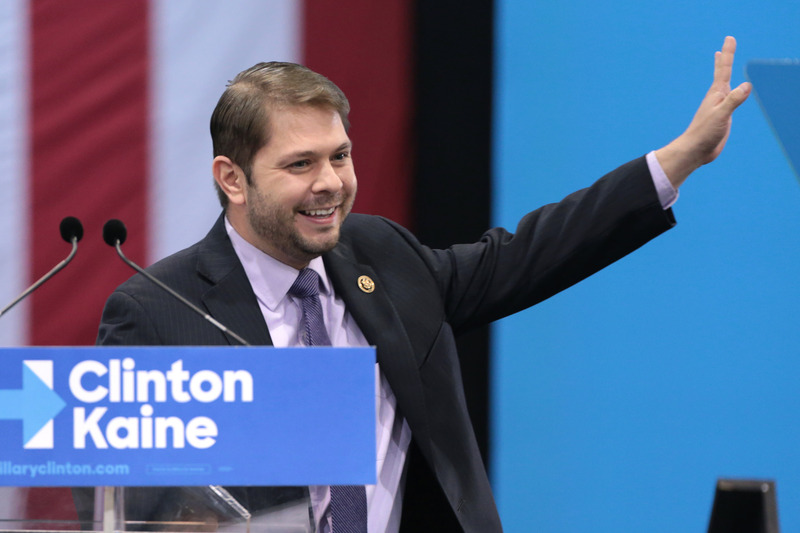 The group mocked Gallego for living in a gated community and posted signs, including one that read “Ruben Gallego’s Walls of Immorality,” on the gate outside. Antone and Harrison often show up to events with handguns holstered to their hips, but it was unclear if they were armed during Wednesday’s protest. Gallego’s spokeswoman, Christina Carr, confirmed to Hatewatch that the office reported the posts yesterday and asked Capitol Police, which is tasked with protecting members of Congress, to investigate the group’s activities as a security threat. Will you be updating this story with the results of the investigation?